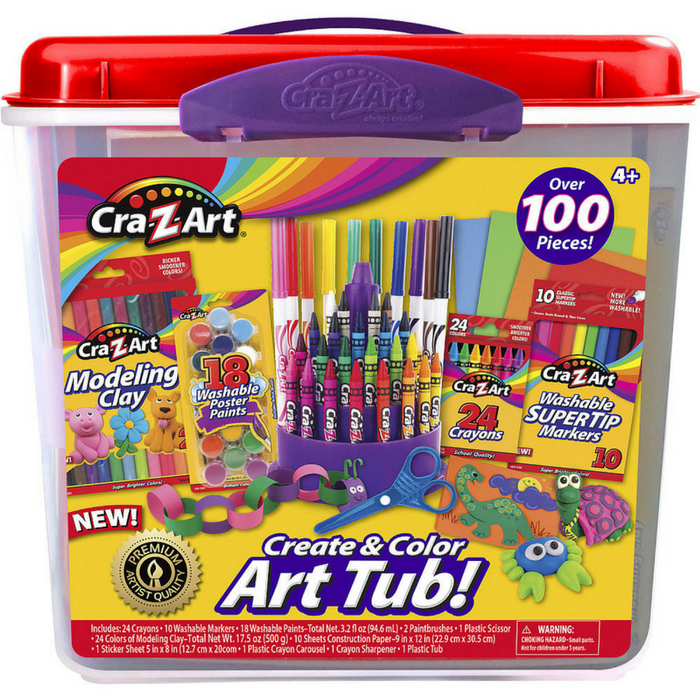 Cra-Z-Art Coloring & Creative Art Tubs Just $11.99! Down From $20! You are here: Home / Instagram / Cra-Z-Art Coloring & Creative Art Tubs Just $11.99! Down From $20! Until July 22 only or while supplies last! Toys R Us is currently offering this Cra-Z-Art Coloring & Creative Art Tubs for just $11.99 down from $19.99 PLUS FREE store pick up or FREE shipping for orders over $29! Your little one can unlock his or her creativity with the Cra-Z-Art Super Creative Art Tub . Use the modeling clay to create stick figures or create cool greeting cards and other fun crafts using the colored paper, paint, crayons, markers, stickers and safety scissors. The supplies encourage hours of imaginative fun and can be stored in the durable plastic bin after playtime is over.